If you want to bring in new patients, and grow your dental practice, you should take some time to consider how effective your online marketing efforts are. To boost your website’s SEO in 2019, you should pay attention to how changes in user behaviors and technology have impacted your potential for growth. One thing you can do to improve your SEO, and enjoy consistent value from your website, is pay attention to the user experience you offer. We can help you by providing quality content, and the right features to make your page more beneficial to your practice. Google algorithm updates can vary – some are specific, and only affect a small group of sites, while others are broad, and have the potential to make sweeping changes. It can be difficult to determine exactly what an update will affect, but you can take steps to protect your site by focusing on your user experience. After all, changes are meant to make search results more useful for Google users. With quality content, you can satisfy the questions and concerns of people who are searching for dental work, or trying to learn more about oral health issues. Choosing user-friendly content over content meant to coerce Google into raising your rank can lead to consistent success. It can also help you avoid a situation where an algorithm updates makes your tactics less effective. Newer sites, and sites that receive design updates, can offer features an older website may lack. This can affect your SEO, and your user experience. We can develop a new website for you, or update the design of your current site, to help you offer the right features for your online marketing needs. We can also help you recognize when a general trend in online marketing might be less beneficial to you, and worth ignoring, so you are not chasing after changes that fail to deliver meaningful value. We can help you manage the different tasks that are important for your overall SEO. By providing quality content for your site, keeping up caught up with important changes in technology and user preferences, and helping you manage your social media activity, we can give you the kind of online presence you can count on to support your practice! MDPM Consulting is proud to provide quality online marketing support for dental practices interested in securing new patients, and boosting their relationships with current patients. If you want to improve your SEO efforts in 2019, you can reach us via the contact information listed below. 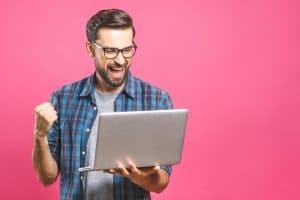 Are your online marketing efforts still effective in 2019? Contact us today and let us help you! Email MDPM Consulting at [email protected], or call us at 972-781-8861.